Save 40% on Tix to Odets’ Rocket to the Moon $45! Rocket to the Moon tells the story of Dr. Ben Stark, whose marriage to Belle is buckling under the weight of constant money worries. Enter Belle’s father, Mr. Prince, a flamboyant and immensely wealthy old man who, deeply estranged from his daughter, suggests that the remedy is for Ben to have an affair with his beautiful young receptionist – Cleo Singer. In the heat of a New York summer, Cleo and Ben embark upon an affair that will transform both their lives, endangering Ben’s comfortable routine while opening him up to unimagined possibilities. 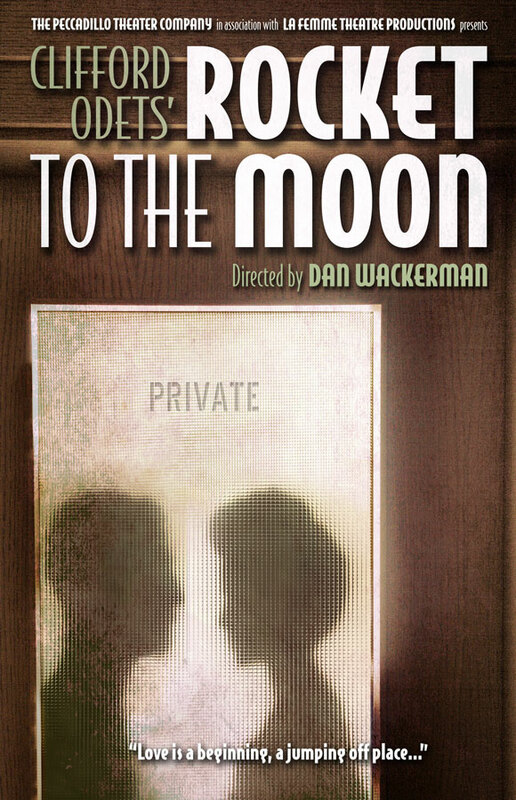 Rocket to the Moon is presented by the Peccadillo Theater Company (the OBIE and Lortel Award winning producers of such hits as A Tree Grows in Brooklyn, Room Service and Counsellor-at-Law) in association with La Femme Theatre Productions. The production stars Drama Desk Award winners Ned Eisenberg & Jonathan Hadary (Lincoln Center Theatre productions of Awake and Sing! and Golden Boy) and TONY Award nominee, Lou Liberatore, Burn This. Tickets Only $45 with this Offer! Normally $75!